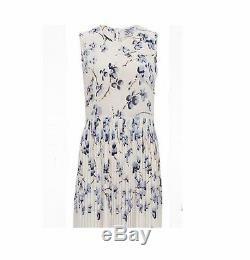 Floral dress tea silky pleated L blue flower pattern Baum und Pferdgarten new. Beautiful exquisite Danish design Tea dress. This dress is timeless & classic. Pleated skirt, 1 button back neck, 1 zip left side, (belt excluded). 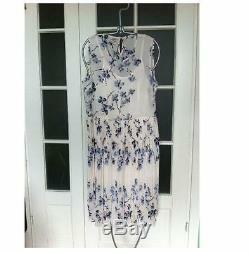 100% viscose lining gown (wear separately). Designed in Denmark by Baum und Pferdgarten. If you have any questions just let me know. 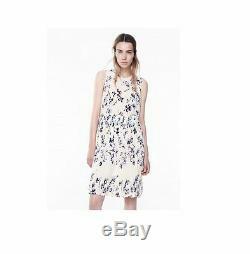 The item "Floral dress tea silky pleated L blue flower pattern Baum und Pferdgarten new" is in sale since Friday, June 16, 2017. 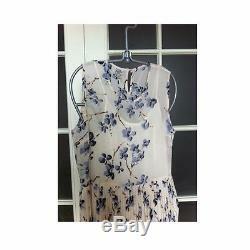 This item is in the category "Clothing, Shoes & Accessories\Women's Clothing\Dresses". 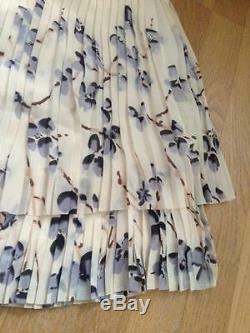 The seller is "usproducts" and is located in Copenhagen.